​This retreat is open to health care professionals only: doctors, psychologists, psychiatrists, psycho-therapists, counsellors, yoga/mindfulness teachers, nurses and recovery coaches. The last couple of years I have been working with Trauma Psychologist Josh Dickson and Resurface and this is our new program for clinicians and (yoga) therapists. ​The goal of our programme is to give you the knowledge, tools and practice to deeply – significantly – impact your life strategies, in a fun, action-based week. Focusing on the concepts of self-care, burnout and vicarious trauma, this week will provide you with the tools to manage and let go of those aspects of work that might be damaging to you and share and absorb experiences amongst a peer group who will understand your unique work-life circumstances. To be able to engage in an empathic and understanding manner with deeply depressed or traumatised clients or patients requires a level of resilience, self-awareness and self-care that is often out of reach. It is essential for both our own self-care and our clients that we learn to not only recognise any counter-transferential traumatisation and also prevent its destructive influence responsibly, ethically and proactively. It is the truly unique fusion of the power of surfing, integrating elements of both the positive psychology and trauma resolution retreats and bonding in an intimate group of only 10 people, along with the founder of Resurface UK himself, that translate our aim into reality. This exclusive program is dedicated to understanding and learning the science of human flourishing. It has been carefully structured by Josh Dickson, a therapist who has gained his practical experience and insights, in the field of drug addiction treatment and private practice. The purpose of these daily interactive workshops and lectures is to explain and frame the basics for each day’s topic (see below for list of topics focused on). Research shows that education alone has a therapeutic effect and is particularly empowering when part of a holistic program. This is the core element that underlines and supports everything we do. There is a growing body of research and work that links the practice of surfing to a host of beneficial mental improvements (see here for more information), and it is our love of surfing that has provided the initial impetus to create Resurface. We welcome all levels of surfing skills, from absolute beginner to experienced surfer. Surfing is a core element in developing new positive resources, so it is just as crucial that like we adapt to respond to your therapeutic needs adequately, we adapt to your surfing experience. The deep potential impact of these sessions cannot be understated. We see again and again from past testimonies, powerful realisations and revelations unexpectedly happen to most of our clients during those sessions, enabling the ignition of major behavioural changes.While each session will have a volunteer main protagonist enact a scene from their past, enrolling the help of their ‘fellows’ to do so, it is often those witnessing these that will gain the most from the process. The surfing is open to all levels of ability – from complete beginner to experienced surfer. 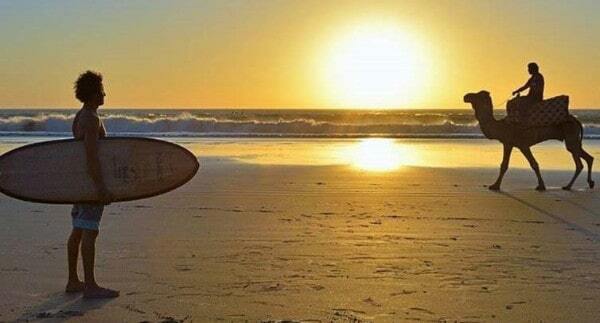 At Resurface we will accommodate all your surfing needs as well as your therapeutic needs.